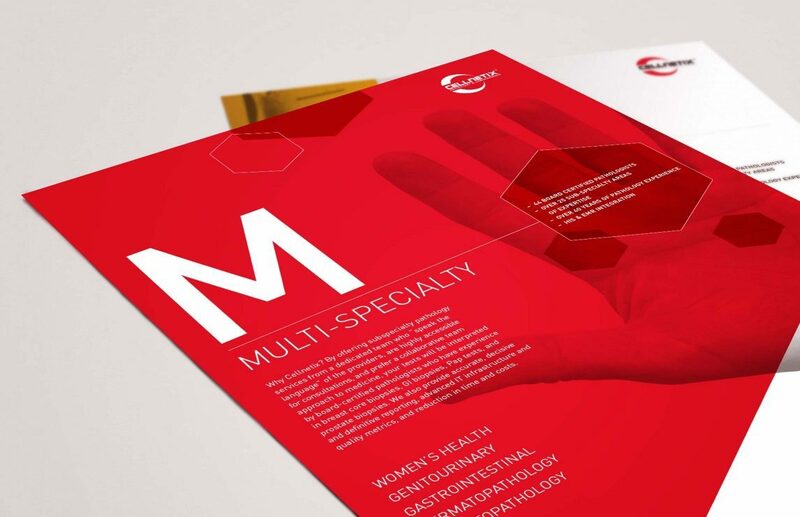 Standing out in the world of healthcare brands can be challenging. Especially if you fall into the sea of touchy-feely personalities and shades of blue, green and beige. 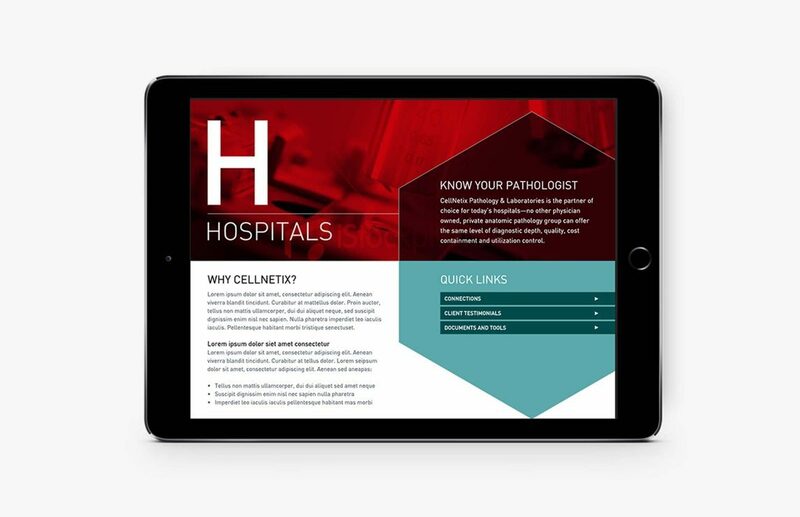 We partnered with CellNetix, one of the Pacific Northwest’s leading pathology laboratories, to help them unearth and articulate the things that make them the innovative, driven and compassionate business they are. Through a revitalized positioning statement, messaging pillars and personality traits, the brand platform captures their bold, iconoclastic spirit without feeling overly aggressive. CellNetix never loses sight of the fact that every medical sample they examine represents a human life. 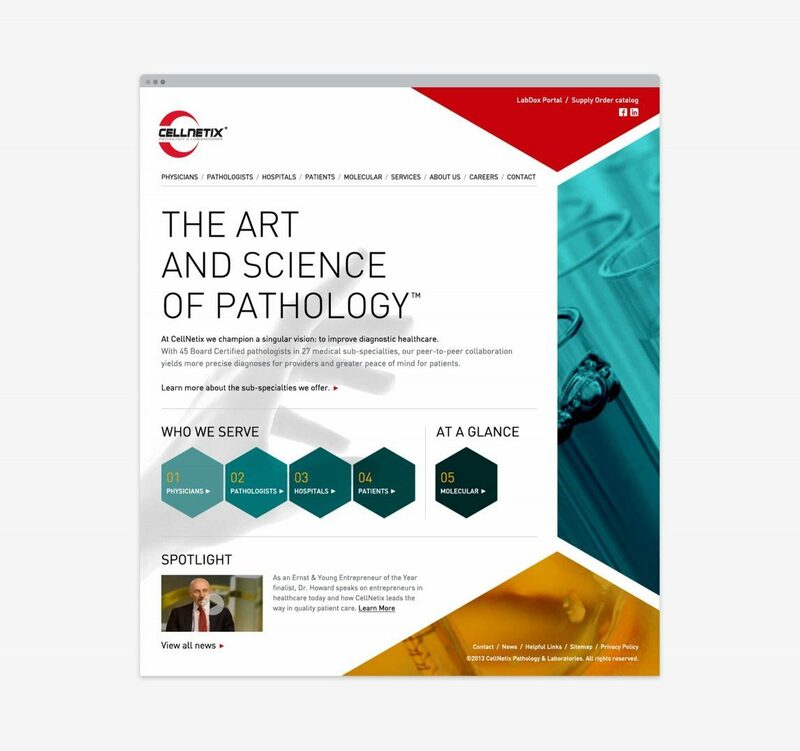 We used that premise as a road map to create a new visual identity for all of their marketing and communication tools. 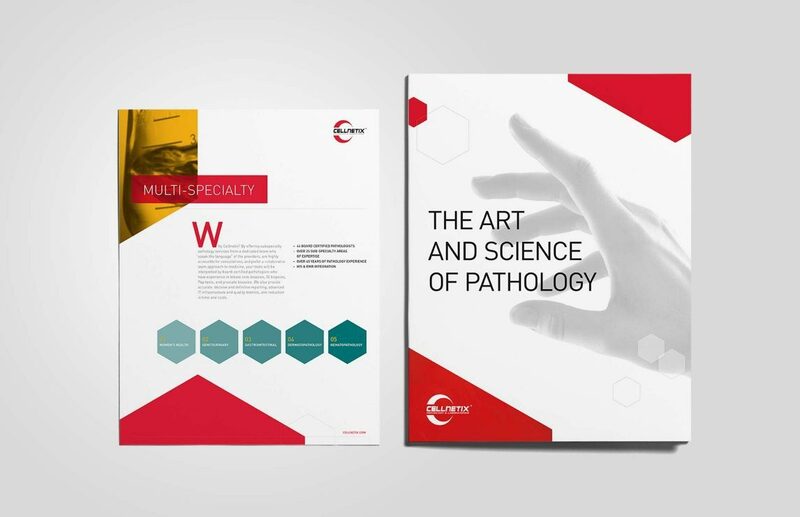 Symbolically representing the art and science of pathology, the visual identity embodies the full spectrum of the CellNetix pathology service – from the patient, to the pathologist, to the science behind it all. 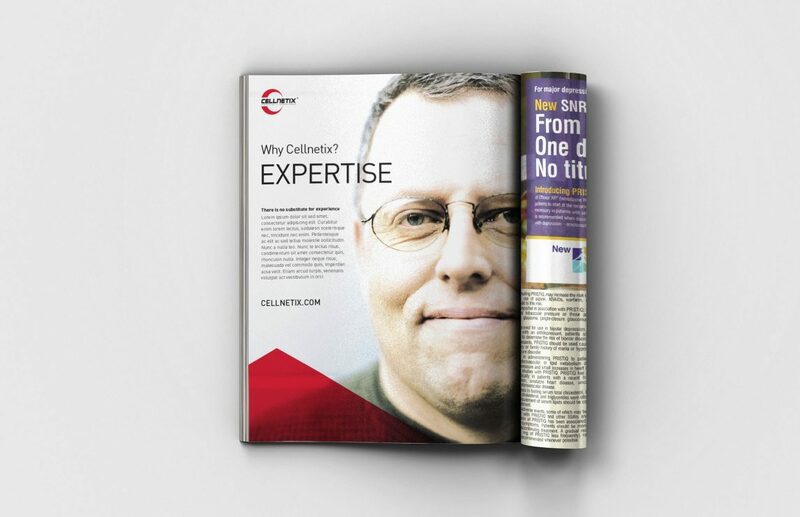 With a new visual presence and guidelines for creating future communications, CellNetix is poised to continue their growth and dominance in this region and beyond.